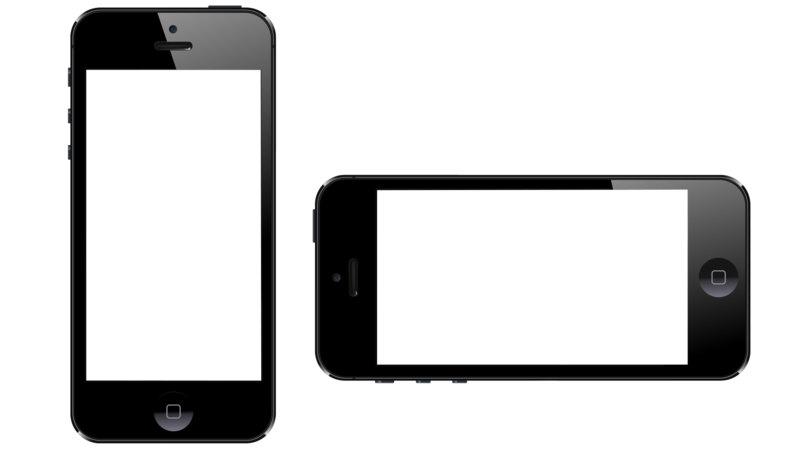 Presentation slide with illustrations of two iPhones—one in the portrait orientation and one landscape. 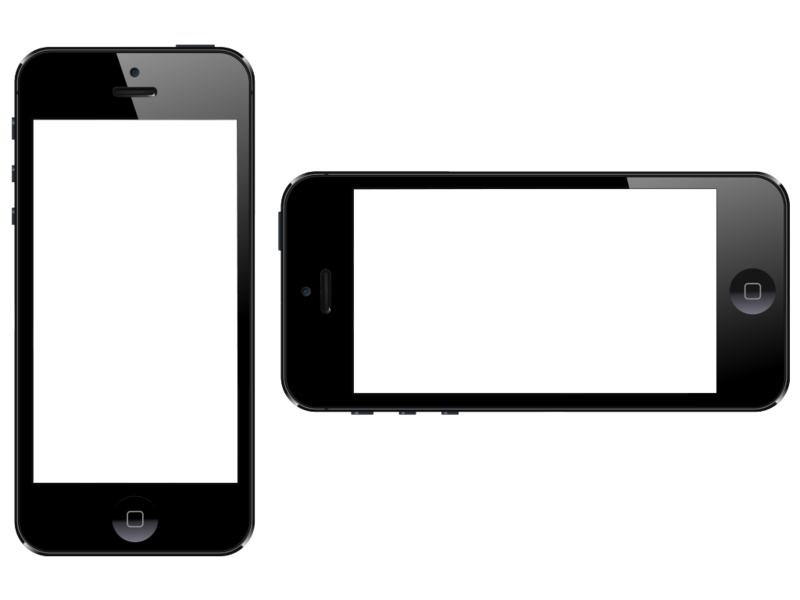 The screens are transparent so any image placed behind will show through the screen areas. Could be used to illustrate how the same content appears in both orientations.